Your choice of francese, Marsala, piccata or parmigiana style. Penne in a light pink, cream sauce with a touch of vodka. Garnished with parmigiano cheese and parsley. A rich white cream sauce with Romano and parmigiano cheeses. Garnished with parmigiano cheese and parsley. Topped with our delicious homemade meat sauce. Garnished with parmigiano cheese and parsley. Voted Best Pizza in Fort Lee! Pomodoro is probably one of the better Italian restaurants in the area. I've ordered delivery from Pomodoro after eating there one day. The delivery is just as good as eating in. I've tried both their pizzas and their pastas, was more than satisfied with both. They never disappoint. My go to when Im not sure what I want, their menu is full of options and Im always happy. Drivers are fast and extremely courteous. Portions are large and always fresh. So happy they are open on Mondays! I've ordered pizza from here and it has always been wonderful. The delivery person is always pleasantly nice. I wish they could deliver to me where I live, but its a nice treat to have at work. Thank you! Food is always really good and the delivery always gets here either on time or earlier thn the expected..this place is a def keeper and if you haven't tried it yet, I suggest you do!! Excellent, we have been going there for years, we love the food, and the owner is a pleasure, kind, curtious an all around gentleman. Thank you for a great experience. I've ordered the same thing from here for times this week; the chicken sorrentino is fantastic. This time I paid an extra $3 for substituting tortellini ($1.50) and vodka sauce($1.50) and it was fantastic in its' own right. The chicken sorento was fantastic, tender chicken, breaded eggplant and prosciutto di Parma, smothered in nice, melty mozzarella in a wonderfully light tomato-ish sauce. It's three generous boneless breast pieces each layered with prosciutto and breaded fried eggplant. The order came much quicker than promised and it was hot, packaged well (the pasta was in a separate container) and came with crusty bread (and butter). I haven't tried anything else on the menu because the sorrentino is so darn good. Try it tonight! Pomodoro is the best Italian in the area- not only is their pizza and pasta top notch, but all of their menu items do not disappoint. They are definitely my go-to for delivery as well as my local BYOB joint that we frequent as well. Great outdoor space and upstairs dining area. consistently fresh and delicious italian food, my favorite in the area. i love that they include bread, cheese, chili flakes and a yummy biscotti in every order. wait time could be long at times but it's worth it. friendly and courteous delivery guys! Chicken Mama Mia...."Mama Mia, that was amazing." Great food, pretty on point with delivery. Their personal pizza is really good. I recommend their signature Pomodoro pizza. It's a go-to in our house. This was our first time ordering and will be again. Everything was delicious and delivery was quick. Come taste the best italian cooking Jersey has to offer. All meals are made fresh to order. Check out our wide menu options. Call ahead for takeout or come sit down in our new upsatirs cafe lounge. Full Catering is also available. 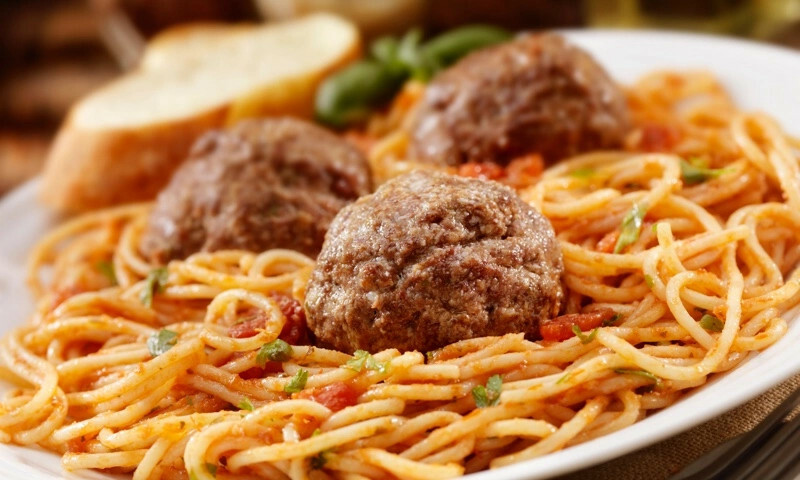 Whether you're craving a quick bite or looking to treat yourself to a delicious meal, you can now order your Pomodoro favorites for takeout or delivery.